Urban sprawl. Disappearing wetlands. Historic preservation. Eminent domain. These and related land-use issues have put private-property rights on the public agenda in a contentious, visible way. 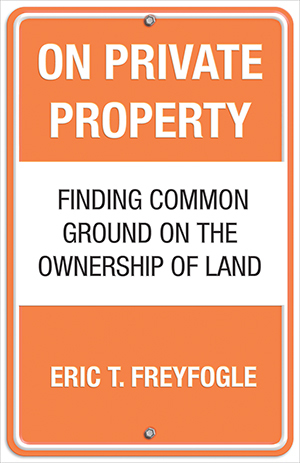 In this provocative book, legal scholar and conservationist Eric T. Freyfogle presents the private-property debate in a surprising new light while suggesting how we can both respect private property and achieve communal goals. Freyfogle’s argument culminates in an intriguing Landowner Bill of Rightsfar different from property-rights measures now being discussed.